This month's stunning wildflower is found in open forests across western North America from Southern B.C. to California and as far east as Idaho and Nevada; from sea level to alpine elevations. 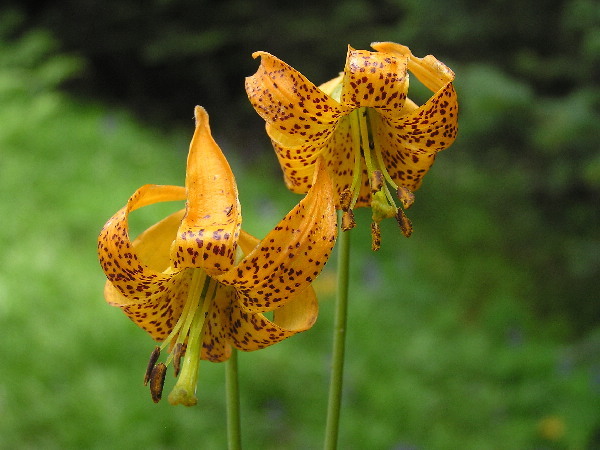 It is sometimes called the Tiger Lily, but that name can be confusing as there are other lilies with the same common name. Standing over a metre tall at times with numerous orange flowers, watch for this plant blooming in July and August in areas with moist, rich organic matter.